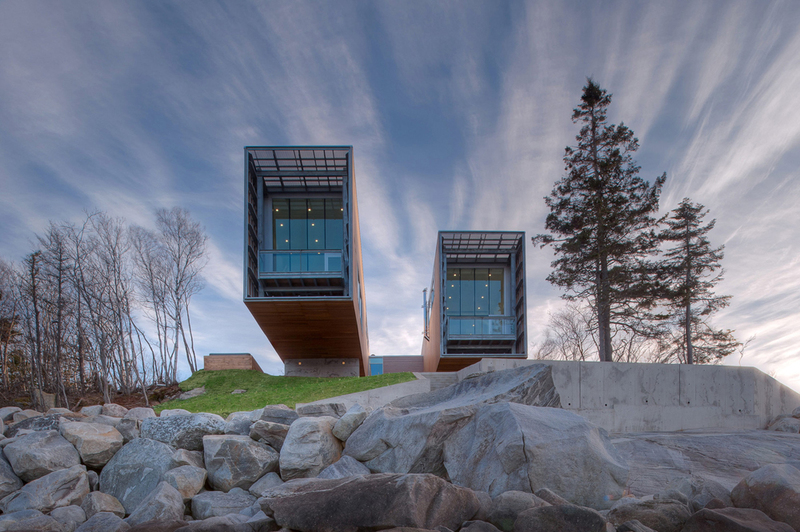 Located in a glaciated landscape on the coast of Nova Scotia in Canada, the Two Hulls House integrates into the natural environment but also enhances this striking area with its creative design. 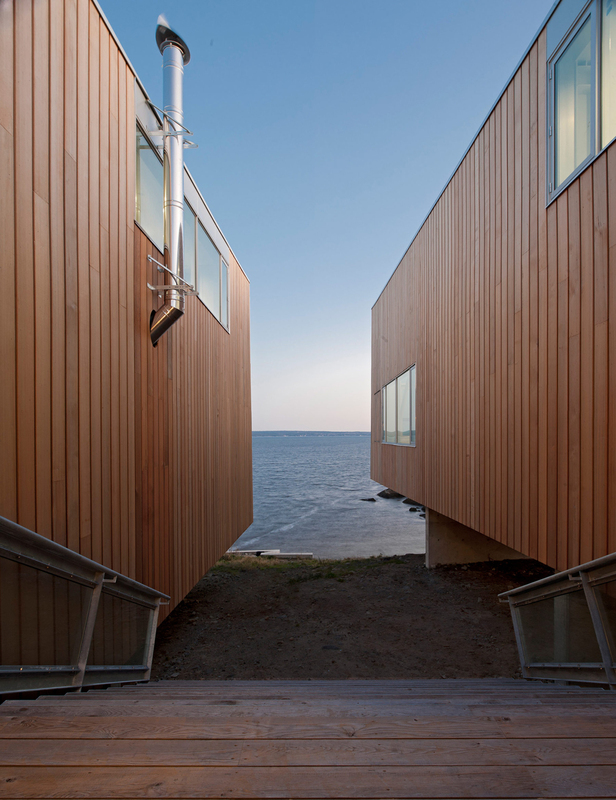 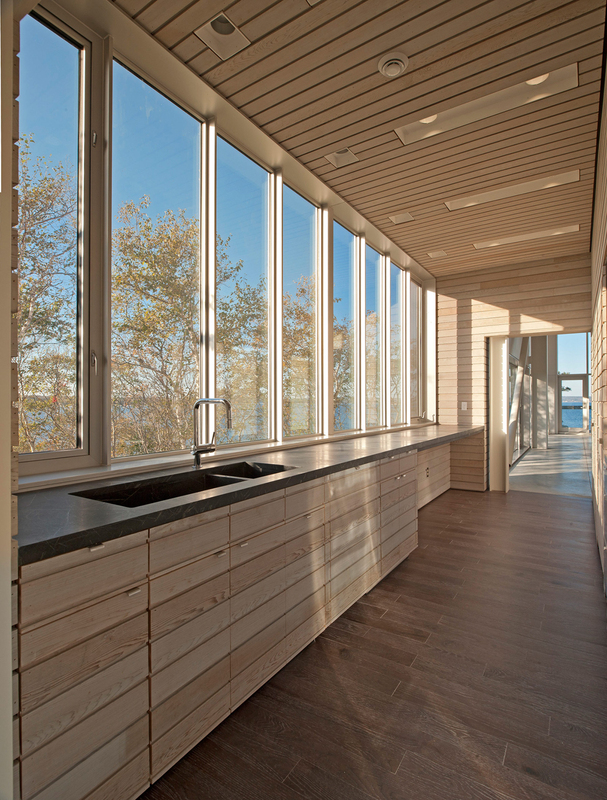 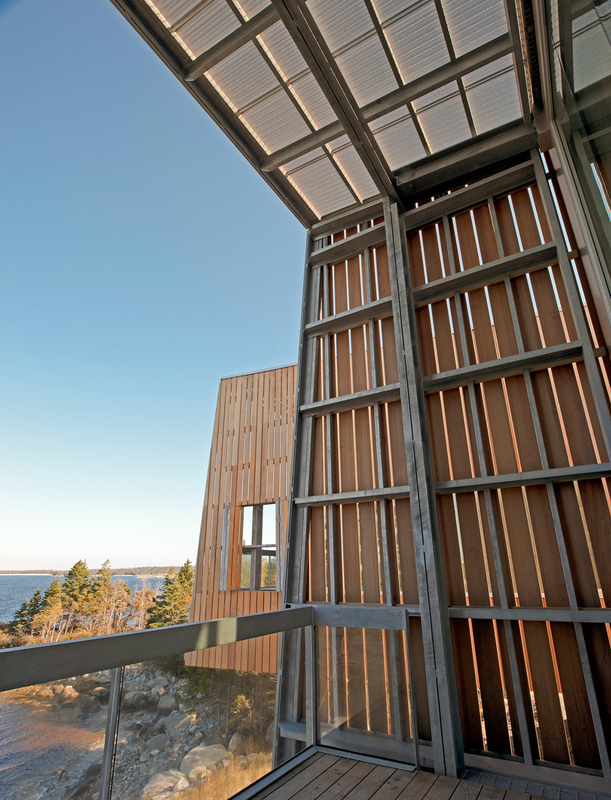 The project was completed by Canadian studio, MacKay-Lyons Sweetapple Architects, and the result is a unique living space with superb views, rooms flooded by natural light, and an exterior that reminds of the hulls of two ships placed on cradles at the beginning of winter. 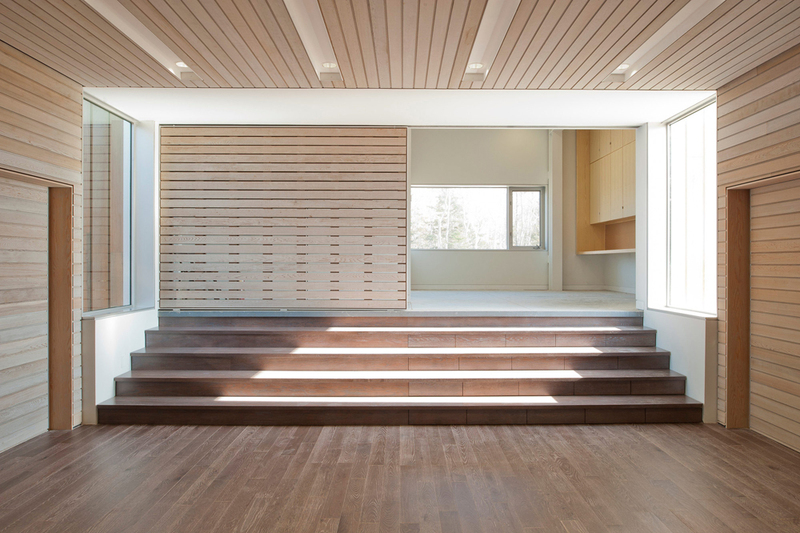 The two structures are connected by a common foyer and the kitchen, but each they have their own purpose; one houses the daytime areas, including a living room and an office, while in the other section bedrooms and bathrooms provide privacy away from the socializing spaces. 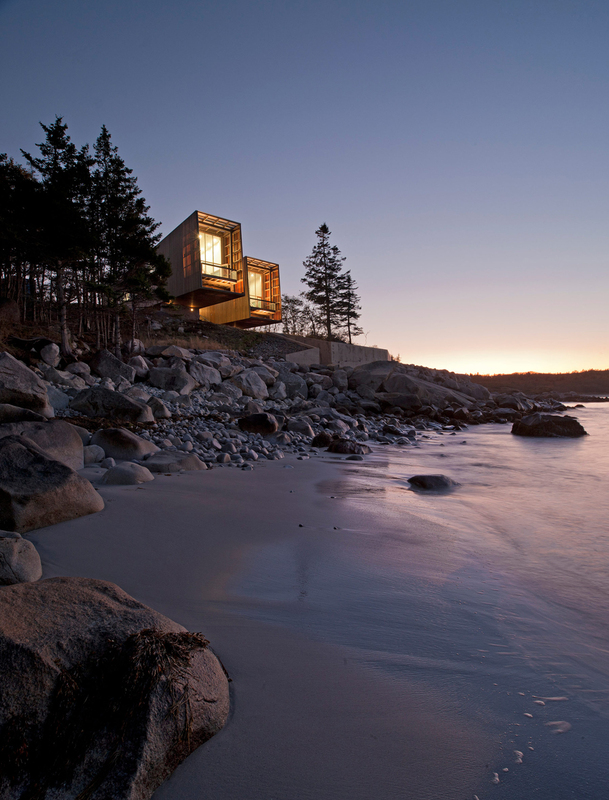 Both pavilions end in large glass sliding doors and balconies that create the impression of being suspended above the water, offering breathtaking views across a coastal landscape where granite bedrock and immaculate white sand are washed away by clear blue water. 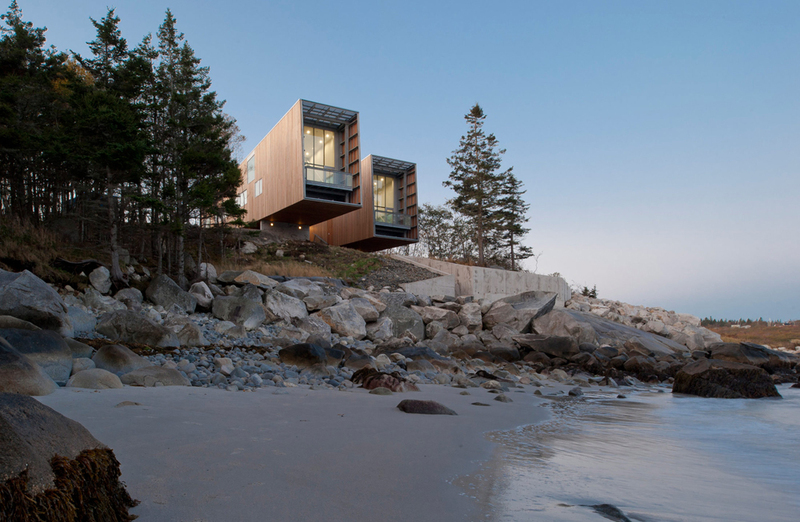 The main entrance is framed by grass and vegetation, the middle by tall pines, while the one facing the beach features a concrete wall which protects the home from rogue waves and fierce coastal winds. 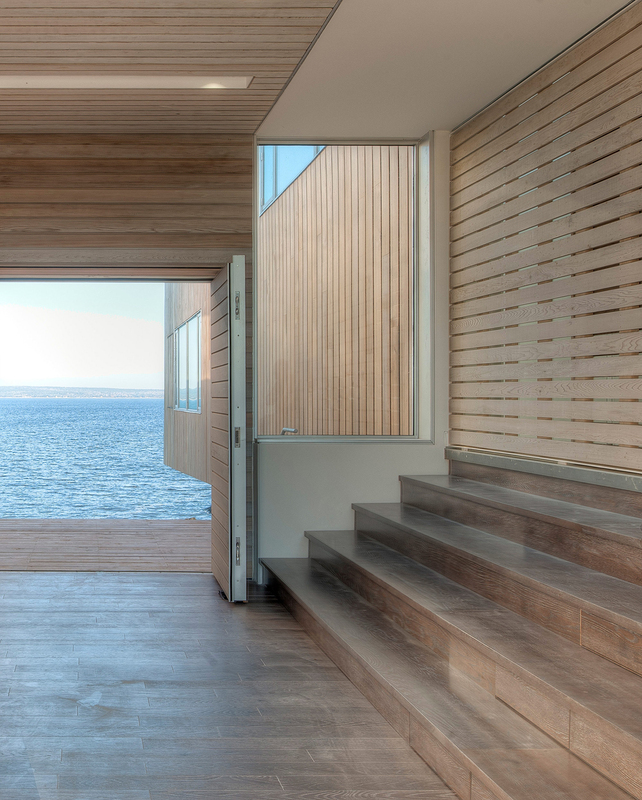 Wide stairs lead towards the pristine beach. 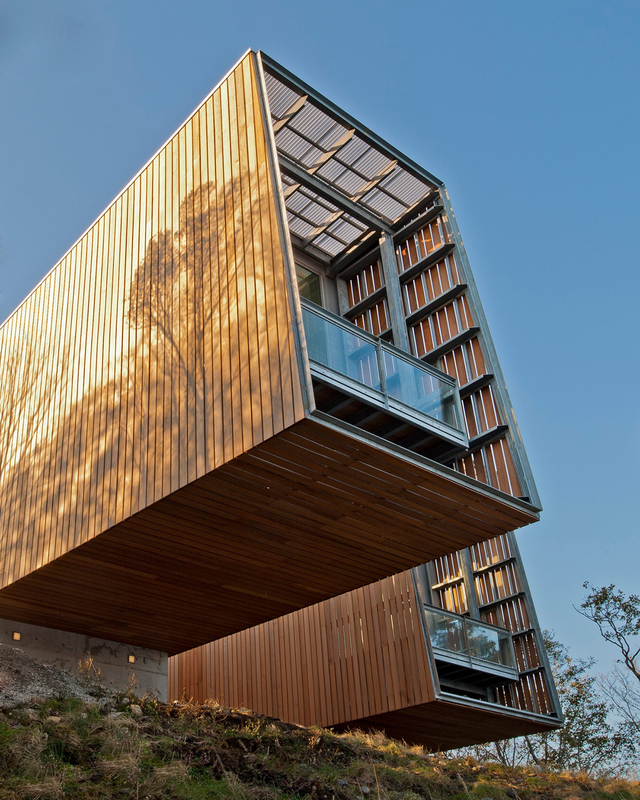 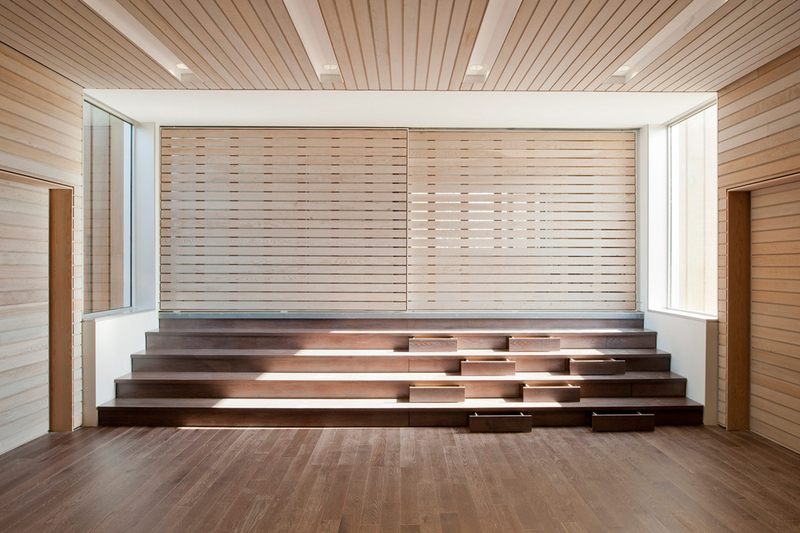 Underneath the cantilevered sections, outdoor areas are cleverly protected from harsh weather. 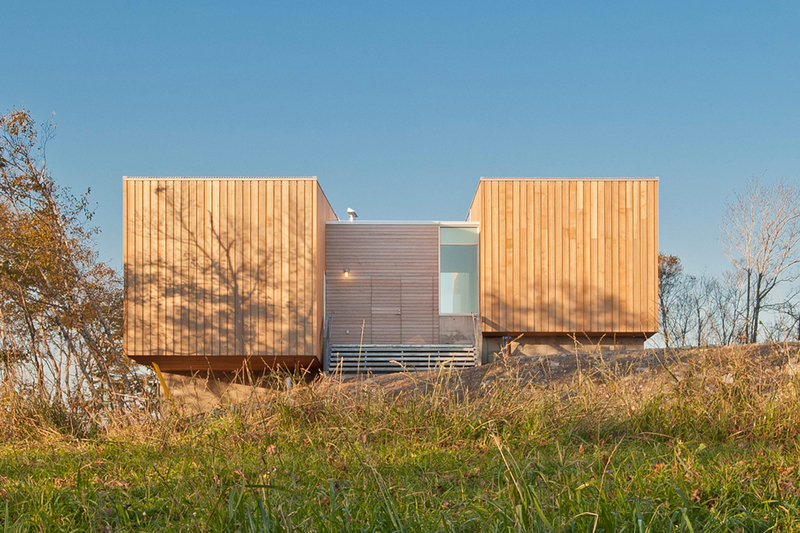 The innovative design of the house was made possible by the use of a steel frame and concrete fin foundations; wooden board cladding reminds of the nautical inspiration and of vernacular architecture at the same time, lending the contemporary home a touch of rural warmth. 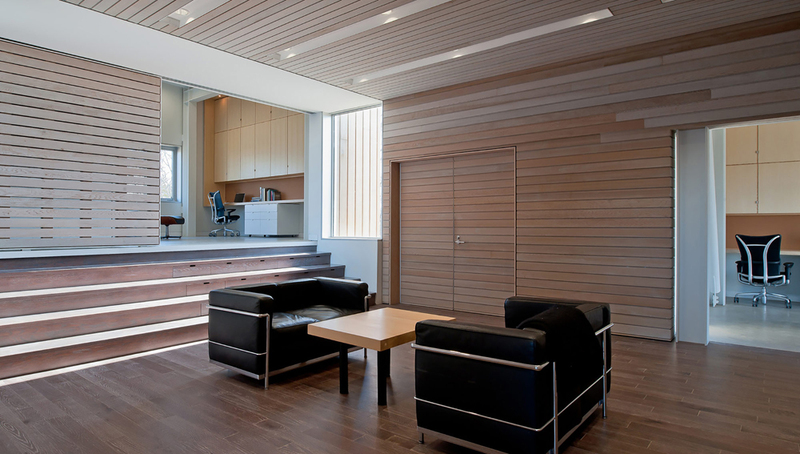 The interior features the same blend of rustic and modern; wood appears throughout, along with concrete floors and leather furniture. 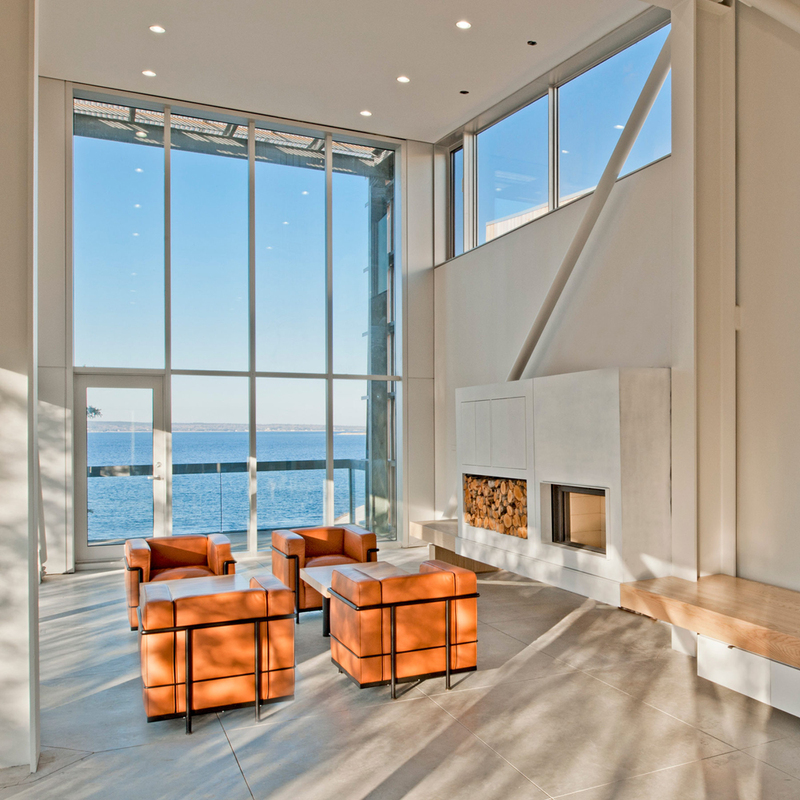 Huge windows allow natural light to brighten the space, but the living room is particularly striking as the double-height ceiling and the glazed wall add a monumental feel to the space. 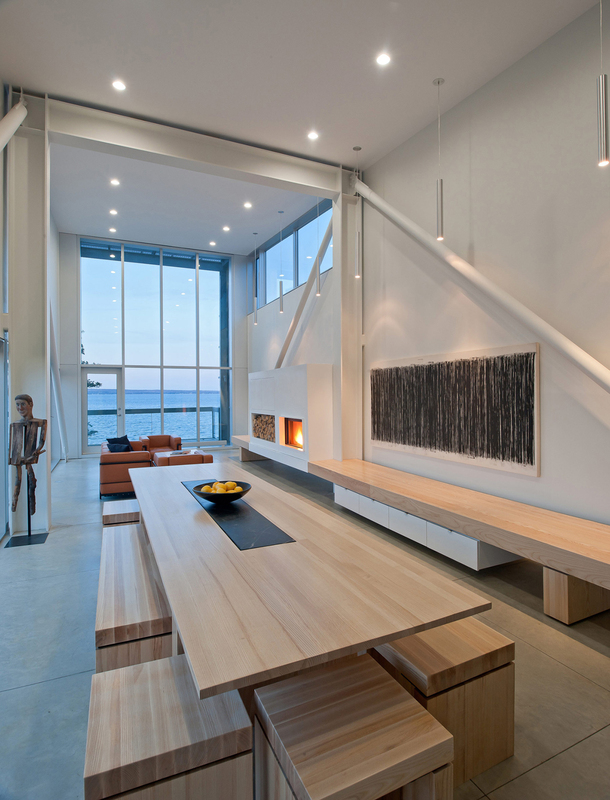 A large fireplace acts as both a functional and stylish addition to this social area, while the owners’ contemporary art collection truly stands out in the minimalist décor.